The asteroids are coming our way, and it is time to act fast! 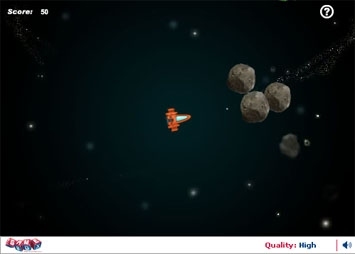 The fighter spacecraft has been launched, and the rocks have to shot at on sight.Asteroids is a fast-paced shooting game, which keeps you on your toes. So, keep your radar up and running, an asteroid is out there to destroy your spacecraft! Use arrow keys to steer your spacecraft. Use space bar to shoot. Watch out for other spacecraft trying to shoot at yours.